Careful With That Axe, Eugene: Happy 80th Birthday to my Dad Joe! 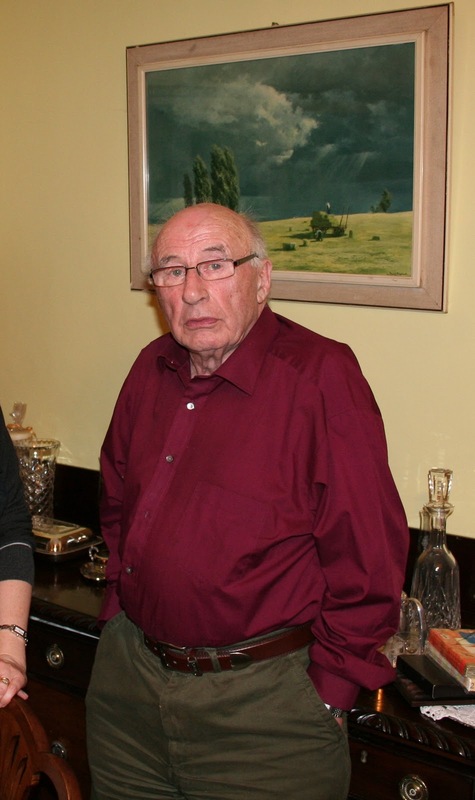 Today is my wonderful Dad's 80th birthday - he was born Joseph Oliver O'Loughlin on 31st of March, 1931 in the parish of Tomacork, near Carnew in Co Wicklow. His parents were P.J. O'Loughlin and Kathleen (Hurley) O'Loughlin, and he was the first born in his family. Dad has lived all his life in the parish of Tomacork - first in the townland of Tomacork itself, and in 1960, he, my Mum Phil, and I (just 1 year old) moved to Ballingate where he and my Mum still live. His plans for the day are to go to Mass in Askamore this morning, and then to have lunch in one his favourite haunts - Conway's of Kildavin in Co Carlow. I will travel down after work today on the Harley - hoping that there won't be too much rain. I'm looking forward to personally wishing him a great "Happy Birthday!". Dad is a twin, but sadly - his twin sister (Sheila), died in infancy, we remember her also on this day.